The City of London Corporation is a uniquely diverse organisation in that it not only promotes and supports the City as a global business centre, and provides it with a full range of services, but also provides wider services for London and for the nation as a whole. We plan and invest in transport infrastructure to keep the UK on the move. To encourage economic growth through trade and travel we are working to encourage commercial development by ports, effectively regulating vessels in the UK’s waters and improving maritime security and safety, including search and rescue capabilities. The Department for International Trade (DIT) helps businesses export and grow into global markets. We also help overseas companies locate and grow in the UK. Our vision is to be the best maritime safety organisation in the world, committed to Safer Lives, Safer Ships, Cleaner Seas. Our values are Safety, Professionalism, Trust and Respect. In times of conflict or peace, the Royal Navy is key to the prosperity of Britain and the stability of the high seas. The Naval Service brings together the men and women of the Royal Navy, the Royal Marines and the Royal Fleet Auxiliary. The Scottish Government recognises the importance of the maritime sector to Scotland’s economy, and, is working closely with the shipping, ports and wider maritime industry to support opportunities for investment and jobs growth. The Scotland Office ensures Scottish interests in the maritime sector are fully and effectively represented at the heart of the UK Government, and the UK Government’s responsibilities are fully and effectively represented in Scotland. The Welsh Government sees ports as key partners in promoting economic growth and job opportunities, and is working collaboratively with the sector, as well as the wider maritime community, to develop economic opportunities and ensure Wales is internationally and sustainably connected. The Admiralty Solicitors Group was formed to promote standards in the practice of English maritime law. Member firms are committed to the development of England as a maritime legal centre embracing all aspects of shipping. The ASG discusses issues affecting English maritime law, develops standard wordings, is represented on many Industry committees/working parties and offers a panel of experienced practitioners to act as arbitrators and mediators. 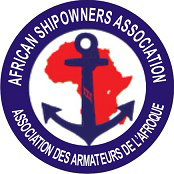 The African Shipowners Association is made up of Africans who own and or operate ships. Our Mission is promoting the development and growth of the African Blue Economy. The Bahamas Shipowners’ Association (BSA) encompasses all shipping sectors and promotes the interests of owners of Bahamian registered vessels and facilitates consultation with the Bahamas Maritime Authority. The BSA offers owners the opportunity to be proactive in topical industry issues, including discussing prospective international policy changes, and to meet with international bodies. The BSA is also represented on the International Chamber of Shipping Board and Committees. BIMCO is the world’s largest international shipping association, with 2,200 members in around 130 countries. Our global membership includes shipowners, operators, managers, brokers and agents. Our vision is to be the chosen partner trusted to provide leadership to the global industry. Our mission is to provide expert knowledge and practical advice to safeguard and add value to our members’ businesses. BIFA – The trade association for freight forwarders is proud to support London Shipping Week. Freight forwarders have been part of the supply chain since goods began to be traded on the sea. The British Ports Association represents the interests of its members to the UK government, the EU and a range of stakeholders. The BPA comprises a broad cross-section of port types in terms of ownership, size and operations located throughout the UK. Founded in 1933 as a neutral, non-profit, international organization, the BIC promotes safety, security and sustainability in container transportation. Appointed in 1972 as the official owner code registration authority, the BIC has over 2100 container-operating members in 120 countries. The BIC’s new BoxTech Technical Characteristics Database allows for efficient sharing of container characteristics, including tare weights for SOLAS VGM declarations. CSAL members represent a large proportion of UK-based Chinese shipping interests. 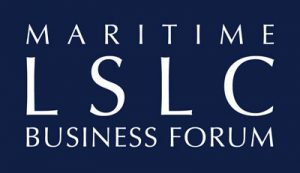 Supported by the Baltic Exchange, CSAL brings Chinese professionals in shipping and related markets and services together, for informative events in London. We provide an established network for Chinese companies, looking to further their UK business relationships. CIRM is a non-profit international association for manufacturers/service providers of bridge electronic navigation/communication technology. CIRM fosters relations between organizations concerned with electronic systems and information technology and holds Observer Status at the IMO London. The Connecticut Maritime Association is a non-profit organisation built by its members for its members. Made of individuals representing every aspect of shipping and international trade. Over 1,400 members worldwide, an annual conference and trade show attracting 2,500 attendees, social events and the CMA Education Foundation all make for a vibrant, ever-growing association. CLIA UK & Ireland is a member of Cruise Lines International Association, the world’s largest cruise industry trade association with representation in North and South America, Europe, Asia and Australasia. CLIA brings together cruise lines, travel agents, associated travel partners and is dedicated to the expansion of ocean and river cruise holidays. CSO Alliance mobilises the global community of CSOs to more effectively counter maritime crime. Defence and Security Equipment International (DSEI) is the world leading event that brings together the global defence and security sector to innovate and share knowledge. DSEI represents the entire supply chain on an unrivalled scale. DSEI 2017 will have five key sector-focused Zones: Air, Land, Naval, Security & Joint, all showcasing the latest equipment and systems. The European Community Shipowners’ Associations (ECSA), founded in 1965 under the name of “Comité des Associations d’Armateurs des Communautés Européennes (CAACE)”, is the trade association representing the national shipowners’ associations of the EU and Norway (close to 99% of the EEA fleet or about 20% of the world fleet). Our aim is to promote the interests of European shipping so that the industry can best serve European and international trade and commerce in a competitive free enterprise environment to the benefit of shippers and consumers and help formulate EU policy on critical maritime transport-related issues. FONASBA is the global representative body for ship brokers and ship agents with member associations in more than 50 countries. Its role is to promote and protect the interests of its members worldwide. The Hong Kong Shipowners Association was incorporated in 1957 by 11 local shipowners with the purpose of creating a forum for shipowners resident in Hong Kong. The Association’s chief purpose is to promote and protect the interests of the Hong Kong domiciled shipowners and shipmanagers as well as the increasing number of local professions and services. Human Rights at Sea is an independent maritime human rights charity registered in England and Wales. Founded in April 2014, its Mission is to explicitly raise awareness, implementation and accountability of human rights provisions throughout the maritime environment, especially where they are currently absent, ignored or being abused. 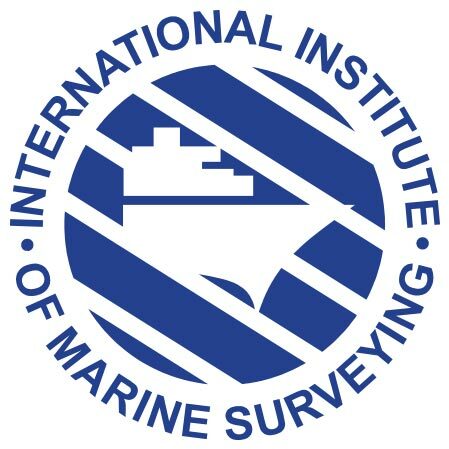 The International Institute of Marine Surveying (IIMS) is an independent, non-political organisation promoting the professionalism, recognition and training of marine surveyors worldwide. The IMarEST is an international membership body and learned society that brings marine engineers, scientists and technologists together into one professional body. It spans 128 countries and works to promote the scientific development of marine disciplines, providing opportunities for the exchange of ideas and upholding the status, standards and expertise of marine professionals worldwide. The Institute of Chartered Shipbrokers was founded in 1911 and is the internationally recognised professional body for commercial shipping, awarding qualifications under its Royal Charter granted in 1920. With 25 branches and 15 teaching centres in key locations and representing shipbrokers, managers and agents worldwide, the Institute has over 4,000 members committed to maintaining the highest professional standards. The Institute of Chartered Shipbroker’s London & South East Branch is the largest and oldest branch within the Institute and are focussed on both the continuing professional education of our members and on providing them with networking opportunities. The International Association of Dry Cargo Shipowners (“INTERCARGO”) is a voluntary, non-profit association representing the interests of dry cargo vessels’ owners. With Non-Government Organization status at IMO and participation in shipping events, INTERCARGO’s objective is the creation of a safe, efficient, high quality and environmentally friendly dry cargo shipping industry. InterManager was founded originally under the name ISMA – International Ship Managers’ Association. The idea behind ISMA was to improve standards in ship management and achieve a safer, more environmentally conscious, more reliable and more controllable ship management industry. This continues to be the aim of the Association. Founded in 1955, the International Association of Ports and Harbors (IAPH) is a nonprofit global alliance of roughly 170 ports and 140 maritime companies and institutes representing about 90 countries. The IAPH is dedicated to fostering cooperation among ports and harbors and promoting the vital role they play in creating a peaceful, more prosperous world. 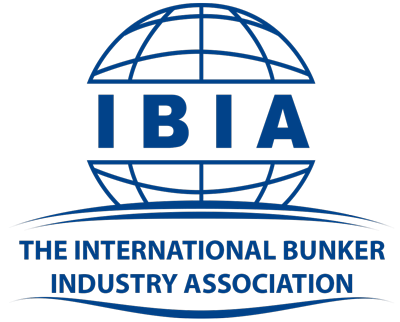 IBIA was conceived in 1992 & has expanded its worldwide membership to include (among others) shipowners, bunker suppliers, traders, brokers, port authorities, credit reporting companies, lawyers & journalists. IBIA has consultative NGO status at IMO and attends all meetings of MEPC, MSC & the BLG sub-committee. IBIA has “liaison status” with the International Standards Organisation (ISO). The International Chamber of Shipping (ICS) is the principal international trade association for shipowners and operators, representing all sectors and trades and over 80% of the world merchant fleet. The International Federation of Shipmasters’ Association was formed in 1974 to unite the World’s serving Shipmasters into a single professional co-ordinated body. It is a non-profit making apolitical organisation dedicated solely to the interest of the serving Shipmaster. The Federation is formed of around 11,000 Shipmasters from sixty Countries. The International Marine Contractors Association (IMCA) is a leading trade association representing the vast majority of contractors and the associated supply chain in the offshore marine construction industry worldwide. The membership comprises around 1,000 companies including contractors, suppliers, oil & gas companies, marine renewable energy companies and numerous non-governmental organisations. The International Maritime Employers’ Council (IMEC) is the only international employers’ organisation dedicated to maritime industrial relations. Established over fifty years ago, we operate from offices in London, UK, and Manila in the Philippines and represent over 220 shipping companies located all over the world. IMPA is a professional technical body with a truly international outlook. It seeks to achieve its principal objective – the promotion of professional sound and safe pilotage through its work at IMO. IMPA is the global organisation representing those working in the maritime supply chain management function, the organisation provides education, resources and events for the industry and its membership. The International Port Community Systems Association (IPCSA) represents Port Community Systems Operators managing electronic exchange platforms facilitating trade in the Sea, Air and Land environment. The International Salvage Union is the sole representative body for the international marine salvage industry with its headquarters in the City of London. It has consultative status at IMO and sits on the Lloyd’s Salvage Group and SCOPIC Committees. The International Shipsuppliers & Services Association (ISSA) numbers nearly 2,000 quality driven members in 550 Ports in 95 Countries world-wide. Everything a ship needs to operate can be supplied by your ISSA supply partner. The International Transport Workers’ Federation (ITF) represents over 4.5 million transport workers in around 700 trade unions in 150 countries throughout the world and promotes their interests through global campaigning and solidarity. INTERTANKO has been the voice of independent tanker owners since 1970. A professional and respected Association, it champions an industry dedicated to support global energy networks by delivering safe, efficient and environmentally sound transport services that keep the world economy turning. INTERTANKO, and its Members, are committed to working towards ever-safer transport, cleaner seas and free competition. ISWAN is an UK-based international NGO that serves seafarers worldwide. We provide a free and confidential worldwide helpline for seafarers, distribute health information, and support survivors of piracy and their families. We also run the International Port Welfare Partnership Programme to set up port welfare committees. We work with shipowners, unions, welfare organisations and governments. The Lloyd’s Register Foundation is a charity that helps to protect life and property and support education, engineering-related research and public engagement. The London Maritime Arbitrators Association (LMAA) is the world’s leading association of maritime arbitrators. Based in London, serving the maritime industry worldwide, it has over 800 members in total, with its arbitrating members handling more than 2,700 new cases and issuing over 500 arbitration awards annually. The LSLC plays a prominent role in the furtherance of quality maritime education and business in London by tackling issues of enduring interest to the shipping industry and broadly to commercial practitioners. Events offer invaluable networking opportunities for business development and career advancement. The LSLC counts amongst its speakers and members the key representatives from most sectors of the maritime industry. The Marine Society is dedicated to providing educational services for seafarers to support their learning, welfare and professional development. From our extensive education programmes delivered by distance learning, through to scholarships, crew libraries and book services we’re here to serve the needs of maritime professionals. The Maritime Skills Alliance brings together 18 organisations from across the maritime sector to create and promote qualifications and apprenticeships. The Merchant Navy Training Board is a voluntary body and a part of the UK Chamber of Shipping, the trade association for the UK shipping industry. We work closely with shipping and ship management companies, nautical educational establishments and organisations, seafarer trade unions, the Maritime and Coastguard Agency and industry organisations with an interest in seafarer education and training. Mersey Maritime is the representative body for the region’s maritime and related sectors in the Liverpool City Region, promoting industry growth and building strong supply chains. In partnership with Liverpool John Moores University the two organisations opened Phase 1 of the Maritime Knowledge Hub in 2016 as a world class centre for Innovation, R&D and education. National Maritime, is the maritime network for industries influenced by the sea and waterways. Our purpose is to serve and support our members to help them grow and increase business. We promote the UK as a world class location central to the country’s global maritime aspirations and work with those industries ambitious to drive trade, productivity and economic growth. The Nautical Institute is a leading international representative body for maritime professionals involved in the control of sea-going ships. The Institute provides a wide range of services to enhance the professional standing and knowledge of its members who are drawn from all sectors of the maritime world. Nautilus International is a trade union and professional organisation representing more than 22,000 maritime professionals in the UK, Netherlands and Switzerland.Our mission is to be an independent, influential, global trade union and professional organisation, committed to delivering high quality, cost effective services to members and other maritime professionals. The Nautilus Welfare Fund is a UK-registered charity administered by Nautilus International, offering a range of specialist services to support retired seafarers and their dependants. The Nautilus Welfare Fund is registered with the Charity Commission, number 218742. Propeller Club Liverpool is only the second branch of this global maritime association to be established in the UK since the London chapter opened in 1936. Membership of Propeller Club Liverpool is open to individuals working in the sector, students just entering the industry and corporate members. The Security in Complex Environment Group (SCEG), in partnership with the UK Government, promotes standards within the maritime security sector for Private Maritime Security Companies. Through regularly organised events, young professionals from all aspects of the industry are brought together to network, socialise and learn more about the industry we proudly form part of. Our intention was to get people together from all areas of London shipping, and the idea was that by introducing a friend to the group everybody would have at least one direct link to the network. SIGTTO is the international body established for the exchange of technical information and experience, between members of the industry, to enhance the safety and operational reliability of gas tankers and terminals. The Society for Gas as a Marine Fuel (SGMF) is a new non-governmental organisation (NGO) established to promote safety and industry best practice in the use of gas as a marine fuel. SGMF has several working groups and a Technical Committee which create outputs (Guidelines and checklists) for the industry. The Society of Maritime Industries (SMI) is the voice of the UK’s maritime engineering and business sector promoting and supporting companies which design, build, refit and modernise ships, and supply equipment and services for all types of commercial and naval ships, ports and terminals infrastructure, offshore oil & gas, maritime security & safety, marine science and technology, maritime autonomous systems and marine renewable energy. Returning for its 49th year, TheYachtMarket.com Southampton Boat Show is planning to get more people than ever before participating in boating and watersports activities with an array of exciting on the water features at this year’s biggest festival of boating. Team Humber Marine Alliance is a dynamic membership organisation at the heart of the Marine, Maritime and Offshore sectors in the Yorkshire & Humber region. It is a highly influential, not-for-profit business, focused on revitalising the “Blue Economy” sector and integral to the supply chain activities of the ports of Hull, Grimsby, Goole and Immingham. 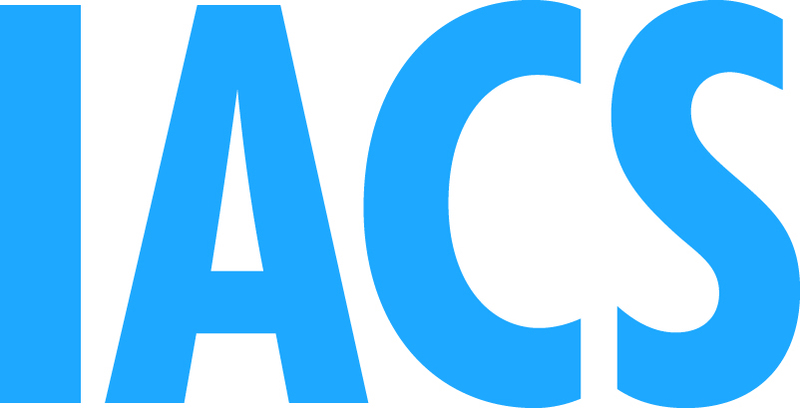 TRACE International and TRACE Incorporated are two distinct entities with a common mission to advance commercial transparency worldwide by supporting the compliance efforts of multinational companies and their third party intermediaries. For more information, visit www.TRACEinternational.org. The United Kingdom Major Ports Group Ltd (UKMPG) is the trade association representing most of the larger commercial ports in the United Kingdom. The UK Marine Industries Alliance (UK MIA) is bringing together all aspects of this diverse sector with the goal of working together to secure the maximum opportunity for the industry to flourish. UK MIA is a free to join strategic collaboration of UK marine companies and related stakeholders. Vancouver, Canada is a crossroads of culture and commerce situated on Canada’s West Coast. A sophisticated, modern, diverse and business-savvy gateway to the Pacific – and the rest of the world, Vancouver has emerged as a global locale of choice for those wishing to invest, play, create and work in a safe and stable trade environment. WISTA UK purpose is to help provide educational activities, promote networking and events and the exchange of experience among women who are working the sectors of shipping, maritime and international trade. With this in mind, we organise activities including site visits, seminars, workshops and industry related events where our members have the opportunity of meeting and forming relationships with other professionals working within the shipping industry. The Shipwrights’ Company originates from the fourteenth century and was originally formed to safeguard the quality of shipbuilding in London. Today the Shipwrights’ Company maintains close links with the sea and donates to maritime related causes, including apprentices. The Apostleship of the Sea serves seafarers from across the world, regardless of belief, nationality or rank. In all the main ports in Great Britain our team of chaplains and volunteer ship visitors visit thousands of seafarers each year, meeting their needs through the provision of help, support and advice. 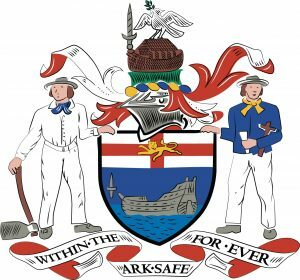 Sailors’ Society is an international maritime welfare charity, committed to transforming the lives of seafarers and their families in port, at sea and at home, through chaplaincy, education and relief of poverty and distress. Seafarers UK is a charity that helps people in the maritime community, by providing vital funding to support seafarers in need and their families. We do this by giving money to organisations and projects that make a real difference to people’s lives. Around the world, The Mission to Seafarers provides help and support to the 1.5 million men and women who face danger every day to keep our global economy afloat @flyingangelnews. Bunkerspot is the world’s foremost source of information on the technical, operational, commercial, legal and environmental aspects of bunkering. Bunkerspot’s website offers free news, pricing and a specialist subscriber service and archive. Bunkerspot magazine is the essential and authoritative source of information for marine fuels professionals. Digital Ship is the commercial maritime world’s authority on all aspects of information technology and innovation, including satellite communications, software, navigation, vessel efficiency, cyber security, big data and analytics. IHS Markit is a world leader in delivering next-generation information, analytics and solutions to customers in business, finance and government, improving their operational efficiency and providing deep insights. Global Legal Group is an independent media company specialising in the legal market. Through print and digital channels we provide legal, regulatory and policy information to senior executives, general counsel, law firms and government agencies. Hellenic Shipping News Worldwide (www.hellenicshippingnews.com) was founded in 2006 and has managed to establish itself as one of the leading news providers around the world, essentially a “one-stop-shop” for everybody interested in shipping and all aspects affecting its course. Insurance Marine News are a daily web and e-bulletin news service that launch September 2016. The readership to the subscription only e-bulletins has grown quickly to 2000 readers (predominantly marine insurers and brokers) and the website traffic now gets around 7000 page views per month. The most complete picture of the global shipping industry. Understand market dynamics and answer strategic questions with trusted news, analysis and insight. We cover the full spectrum of tanker, dry bulk and container markets drawing on nearly 300 years of history to bring you unbeatable coverage of the issues that impact your business. The Marine Professional is the official IMarEST member publication. With a strong news analysis focus, each issue looks at the trends emerging within the marine sector. Maritime Nation India 2017, organised by Maritime World Services, is the largest Exhibition and Conference in South Asia for the Maritime, Logistics and Tourism Sectors. The Telegraph is the monthly journal published by Nautilus International, the trade union and professional organisation for shipmasters, officers and other maritime personnel working at sea and ashore. Ship2Shore: one of the most successful on-line magazines in the Mediterranean region, leading news provider in Italy exploring the financial, economical, political and legal aspects of the transports industry. Ship Management International is the only maritime magazine dedicated to the information needs of the ship owner and the ship manager. Its editorial, both hard copy and online, is must-read, highly valued and totally objective and thought-provoking. TradeWinds is shippings most successful news service, with quality and insight that simply can’t be found anywhere else. Unrivalled news, opinion and intelligence by the best reporters, analysts and opinion shapers in the business. Xinde Marine News is one of the leading marine news providers in China with over 116,000 readers and subscribers. As an independent online media with the mission to provide independent, credible, critical and topical informations, analysis, opinions and advisories to Chinese maritime community with a clear focus on “Markets, Vessels, Ports, Shipyards, Authorities, Companies and Seafarers”.